Honeycomb to require dual-core processor and HD display? 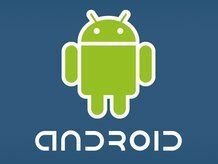 Android 3.0 (Honeycomb) may have minimum hardware requirements, according to a Korean consumer electronics firm. The same source told PC Mag that these include such lofty requirements as dual core processors (the ARM Cortex-A9, to be precise) and an HD resolution of 1280 x 720. Those of us on a tight post-Christmas budget may be aghast at this news, since high-end components do not a low price-point make. The potential hardware requirements also put a question mark over OS upgrades to existing Android tablets. However, there are further rumours circulating that Google will also offer a lower-spec version of the Honeycomb OS for cheaper, less technically competent devices. Yeah, two versions of the same edition – that'll help the fragmentation issue. Before you despair completely at the idea of being stuck with low-spec gadgetry, just remember that nothing is set in stone when it comes to Honeycomb: these are mere rumours. Perhaps more will be revealed by Motorola as it unveils its Honeycomb-running tablet, known by some as the Motorola Xoom, at CES this week.